Trade shows are busy affairs, and it can often be challenging to find a way to make your booth stand out. You need to understand your target market, and find ways to make your booth stand out to them. 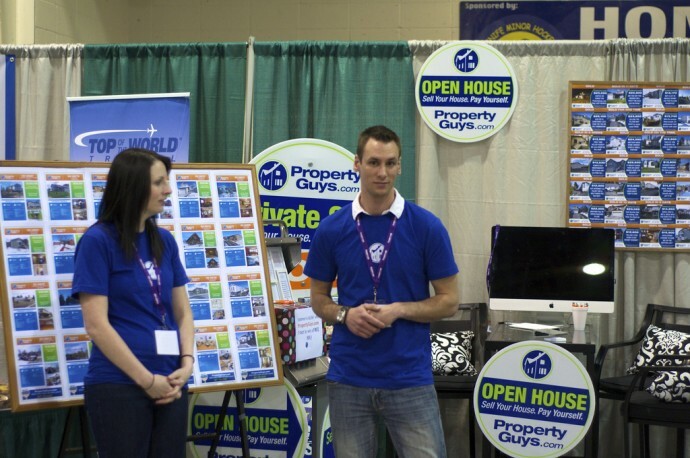 Use these tips to help you create an engaging, informative, and attractive trade show display. The boring whiteboard with a few pictures and words on it won’t cut it anymore. Instead, consider adding some fun lighting elements and interactive displays. Touchscreen devices can give your customers some insight into your products. You might even consider using whiteboard animation to create engaging, informative videos that are short enough to send out a message without boring the target audience. Customers are drawn to booths that offer something different. Adding a little noise and lighting can attract their attention. Though you want to have lights and sounds to bring people to your booth, you don’t want to overwhelm them with too much information. Try to keep it simple and basic, giving the customer the information they want without confusing them. The goal is to create a display that piques the customer’s interest, and gets them to talk to you. You to have a conversation with the customers, and to get them to walk away with your products. If you cannot get them to invest in anything at the conference, you must at least get their information so you can contact them in the future. Spend some time creating a memorable headline. A good headline will catch a customer’s attention from across the room, and it will stay with them after the conference. Some people will walk past your booth, with nothing more than a glance in that direction. Your booth needs to have a headline that captures their attention, and encourage them to come over for more information. Never show up to a trade show late. You must arrive early to set up your display, and be prepared for all the visitors. Some people will show up early to check out the booths, giving you an ideal time to really engage your target audience without the distractions of other booths. It is important to have more than one person hosting the booth. You need to be available to talk to the customers who are interested in your products. If you have too many people to talk to, you can miss out on big sales, as customers will leave your booth for a company willing to talk to them. The booth will generate traffic, but it is up to you to engage the customer and really sell them on your product. Before the conference, train the employees that are attending. Make sure they know answers to any potential questions they will face. It is important to make sure they are eager to talk to the customers, and ready to engage them when they come to the booth. Derek Hicks is a freelance writer based in Dayton, Ohio who concentrates on business, finance & banking. Derek recommends that those getting ready to take part in a trade show in the near future consider the trade show rentals from Excalibur Exhibits. Image credit goes to KyleWiTh.